in that it allows you to have someone fill out a form and it will create a new user for them on your WordPress site, with whatever custom profile/meta fields you specify. It also allows you to create a front-end form for the user to come back and update their user profile information, with their current profile information already populated in the form. you currently have to create two separate forms: one for creating a new user and one for updating a user. What if you want to just use the same form? 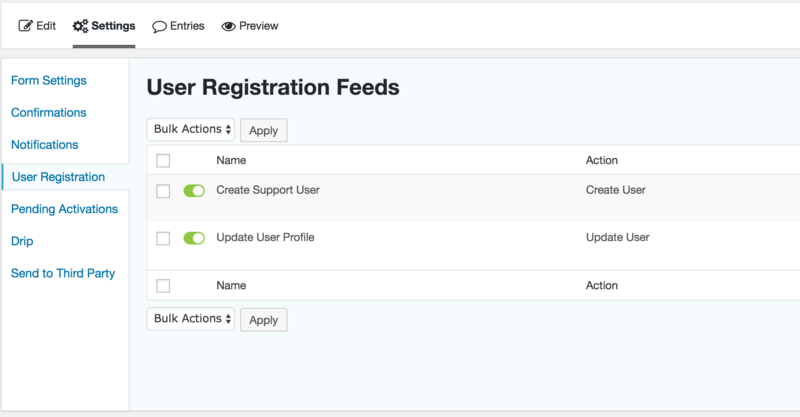 The Gravity Forms User Registration Enhanced plugin now allows you to use the same form for both creating a new WordPress user and updating a current WordPress user on the front-end of your site.